Steve England worked on both Radio Caroline and Radio Atlantis during the seventies. 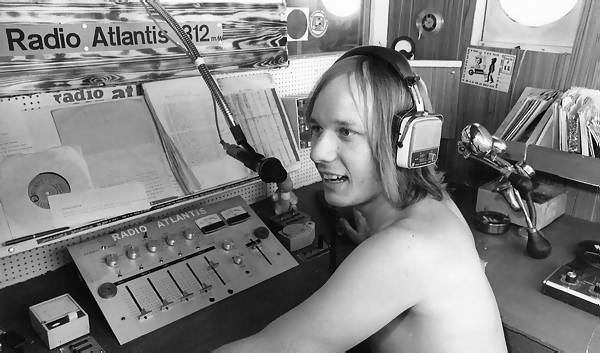 He has very kindly contributed a number of photos which appear throughout The Pirate Radio Hall of Fame Seventies Supplement. Here are a few more. 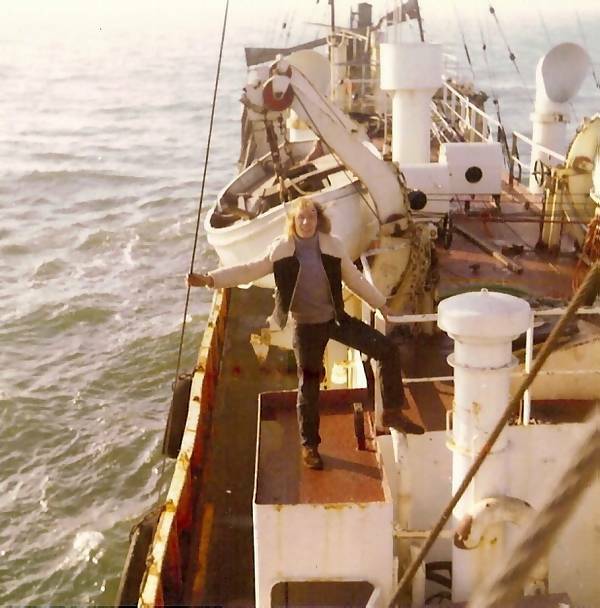 Steve on the deck of the Radio Caroline ship, mv. Mi Amigo. 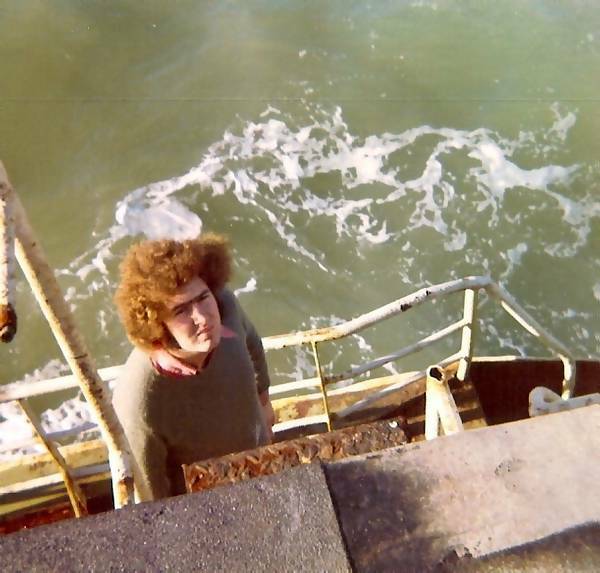 Steve's colleague on both Radio Caroline and Radio Atlantis, Crispian St.John, shown here on the Atlantis ship mv Jeanine. Steve in the Radio Atlantis studio. 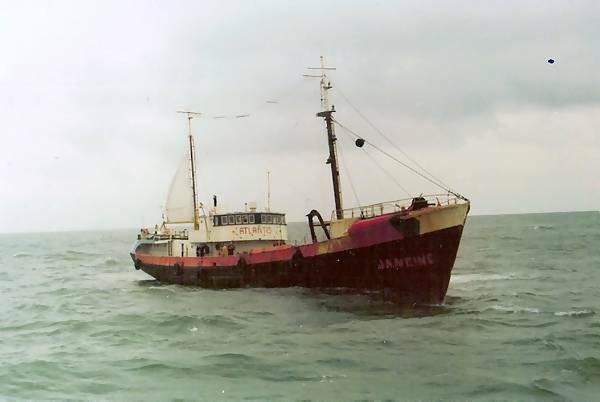 The Radio Atlantis ship, mv Jeanine. Back to the DJ memorabilia index.